This much-anticipated work is a rich and insightful collection of essays that restores women and minorities to the arena of political theory and debate. Philosophers such as Mary Astell and Mary Wollstonecraft argue alongside traditional theorists, including Rousseau and Locke, in a unique historical dialogue. Arranged by several key themes, each covered by both men and women theorists, the book amounts to a rediscovery of women's political philosophy in arguments over both traditional and feminist concepts. Also provided are substantial biographical details about the writers, and secondary source material for the student and researcher. Kristin Waters is Professor of Philosophy at Worcester State College and Resident Scholar at the Brandeis University Women’s Studies Research Center. She has published in the areas of social and political philosophy, feminist ethics and epistemology, and the history of ideas. 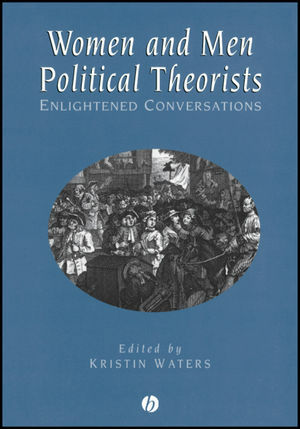 * Contains paired selections from men and women political theorists in dialogue. * Presents a new balanced approach to teaching modern political theory. * Includes biographical information in the critical introductions to each section.